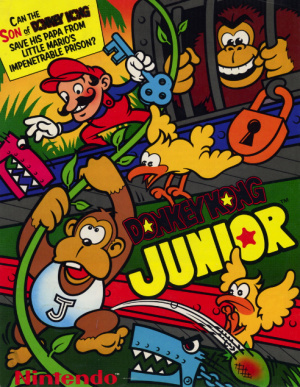 Sorry, no review of Donkey Kong Jr. yet. 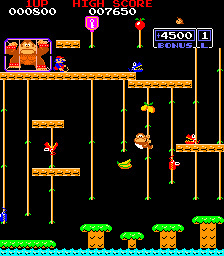 Can you save Papa from Mario? 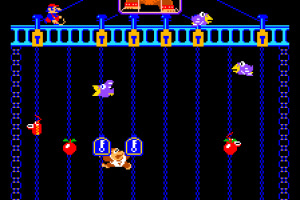 The roles have changed and this time it's Donkey Kong that's been captured and Mario is in charge. 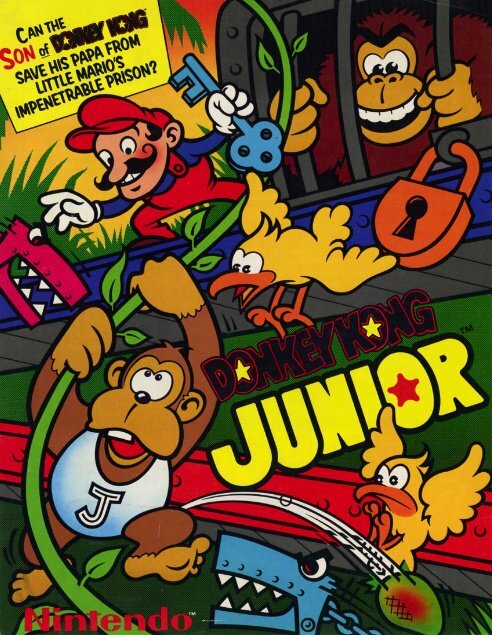 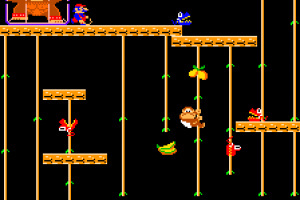 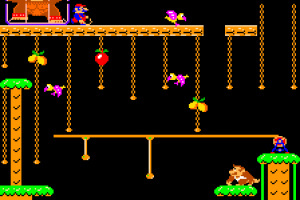 In this 1982 arcade title you'll be taking control of Donkey Kong Jr. and you'll have to climb vines and scale platforms in order to grab the key and rescue your papa. 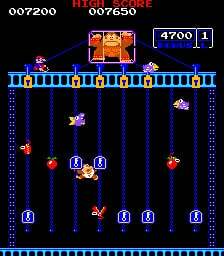 Haven't really played much of the arcade original, but it was one of the first games I've played on the Game Boy Advance e-Reader along with ExciteBike back when I got it in Christmas of '02. 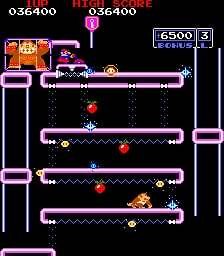 Pretty fun game. 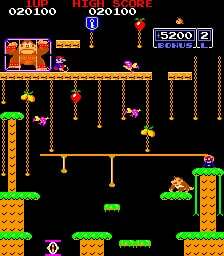 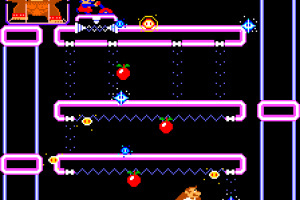 I also have Donkey Kong Clasics on the NES, which has this game and its predecessor Donkey Kong.